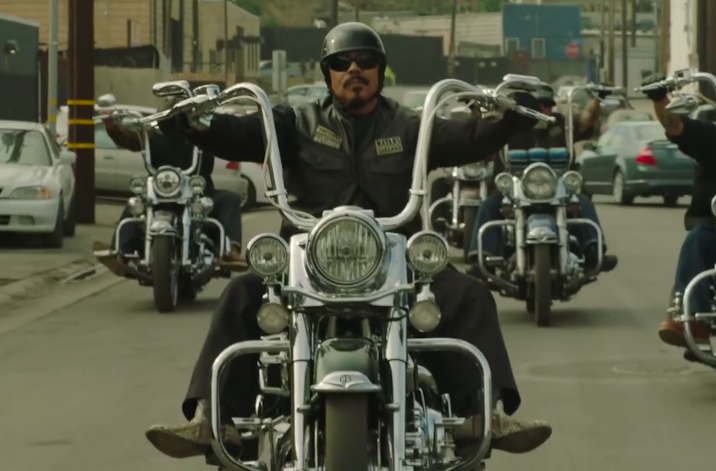 The first full trailer for Mayans M.C., the long-awaited Sons of Anarchy spin-off, is finally here and it looks amazing. The full lengthed trailer comes days after a teaser was unveiled on the official SoA Facebook page. It comes days before this weekend’s panel at San Diego Comic-Con for the Kurt Sutter spinoff. Just as the trailer suggests, the new series will be set in a post-Jax Teller world, with the Mayans operating with a creed and code similar to the SAMCRO. Keeping in line with the biker gang mantra of ‘once in you’re in, you’re never getting out’, the new series introduces a new protagonist, Ezekiel ‘EZ’ Reyes, played by JD Pardo. A former golden boy, freshly out of prison, as a prospect in the Mayan M.C. charter on the California-Mexico border he will have to carve out his outlaw identity. But his time away from prison means the love of his life has moved on and when she discovers his new biker gang lifestyle she’s not impressed at all. However, the status quo among his Mayan brothers is all that matters to EZ as he and the gang make their way through America’s criminal underbelly. Set after the events of the original SOA series, Mayans M.C. will premier on America’s FX channel on September 4 this year. 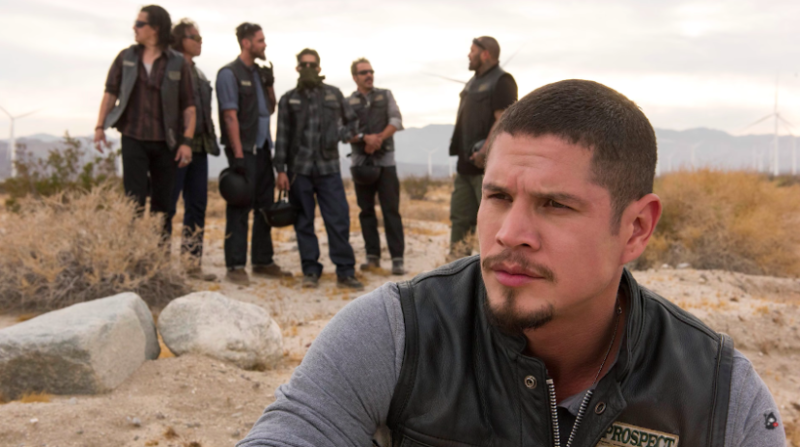 Ever since SAMCRO rode off into the sunset back in 2014, fans of the series have been clamouring for some kind of show to fill the void and Mayans M.C. is the answer to their prayers. The announcement of a spin-off series was made back in January and had fans salivating at the prospect of another wild trip on the back of a steel horse, this time with the Mayan M.C. charter. 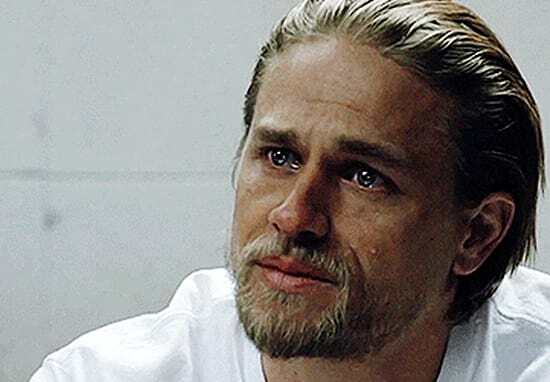 The teaser trailer gave us a look at the grave of former SAMCRO leader Jackson ‘Jax’ Teller (played by Charlie Hunnam) who – SPOILER – bit the dust in the final season of SOA. The camera then pans out to the Mayans M.C. who seem to be paying their respects to the deceased SAMCRO leader before riding off down an open highway. The spin-off series, the brain-child of SOA< creator Kurt Sutter, and writer Elgin James, will premiere first in the States on FX – and takes place on the 10th anniversary of the original series. Kurt Sutter is a master storyteller and Mayans M.C. has the raw energy and intensity that are hallmarks of his signature style. Thanks to Kurt, co-creator Elgin James and this amazing cast, Mayans M.C. builds on the legacy of Sons of Anarchy, taking it in a thrilling new direction that we can’t wait for the world to see. Furthermore, the hotly anticipated Mayans M.C. isn’t the only show from the SOA world heading to our screens, as both official sequel and prequel projects have been given the green light. This puts the original SOA seasons as chapter one and Mayans M.C. as chapter two. At this point, the upcoming seasons could represent further chapters.